In Saturdays herald there is an editorial entitled Editorial: NZ’s culture of honesty one to be cherished, it states that corruption is foreign to the NZ government . Corruption simply is not defined in New Zealand and we have no agencies that specifically deal with it. for 5 years I have been questioning why we gave law enforcement powers to a private body which was not identifiable and transpired to be just one person, the one person who had massive input into the legislation under which his fictional “ body “ gained massive powers of search seizure and prosecution including retaining fines which had a maximum of $250,000 . Our current and last Government have been great at concealing corruption by saying” that is simply not happening” and walking away . What few realise is that by ignoring corruption and condoning it you are allowing it to grow. Very soon countries like India won’t want to trade with us because we are so corrupt. At least the countries who are perceived at being corrupt acknowledge that they are and have systems in place to deal with corruption. We simply ignore it. And if you don’t define it then it’s not. I note that you are now a councillor at Thames District council and find it ironic that you sued me in 2006 to silence me from asking questions of the councillors at Waitakere city council with regards to the operation of your “organisation” which was performing SPCA type duties by using the councils staff facilities and infrastructure. I had been approached by a dog and stock control officer who was employed by the council who questioned the need for her to have a warrant under the animal welfare act and why the duties for animal welfare were being prioritised over council work ,during her council paid time. It transpired that The animal welfare institute of New Zealand (AWINZ) was a fabricated organisation created by the man who wrote and advised on the animal welfare act. In his rush to make the application for approved status, Mr Wells overlooked the fact that he did not have an organisation and made the application in the name of a non-existent trust. There by making the application in a name other than his legal name and this name not representing any one else can only be his alias. In 2006 after we discovered that Mr Wells a council manager for dog and stock control was running a his fictitious organisation in a situation of gross conflict of interest and parallel to his council responsibilities using the resources and infrastructure of council and there by deriving an income which only he was in control of and received this into a bank account which he operated in the name of his alias. To prove categorically that AWINZ did not have any known legal foundations, those with an interest in accountability, which included me ,set up a trust and incorporated it on the 27 April 2006 in the name Animal welfare institute of New Zealand. This made me a Board member of a legally incorporated trust which was Legally registered on the 27th April 2006 and had obtained charitable status with the IRD, being the only legal entity by that name to have that status. There were no other groups recorded as using that name with IRD . As with any credible organisation we can produce the document trail it is found on the purpose of transparency and accountability. In May 2006 we applied for the trade mark AWINZ which was eventually registered to us unopposed. 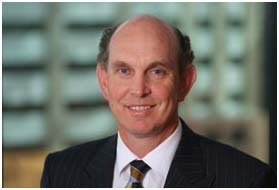 In contrast you formed a relationship with Neil Wells and Graeme Coutts JP on 10 May 2006 and called yourselves AWINZ . You have never provided any documentary evidence of this relationship and there has been no evidence that you formed a trust or became a trustee or took on any obligations to the approved organisation other than by inference . I recently received your explanation as to your involvement with AWINZ which was that you had been asked to become a trustee and became both trustee and Chairperson on 10 May 2006. This date is some three weeks after the entity I was a board member of was legally incorporated. You went on to state that as a chair person you and the other alleged trustees then instructed lawyers to take action against myself and the board of the legally incorporated AWINZ for passing off and breach of the fair trading act, this is rather odd in view of the date which after 5 years of litigation we have finally been supplied with. When you sued for passing off one would have presumed that you had prior usage rights, not be part of an informal group which adopted the name weeks after the other party was legally incorporated. Any ordinary person could tell you that to have prior usage right you have to pre-exist the other entity and logically have proof of your existence. As a barrister I would have thought that that would have been obvious to you too. The Letter signed By David Neutze as then sent a short time later to the board of the legal entity AWINZ which made legal threats based on false claims. The letter was followed by a trust deed which did not include your name and Mr Neutze by inference indicated that those persons named on the deed were his clients.He never checked and never questioned that the plaintiffs in the proceedings were not the same group of persons. Now 5 years later after you dragged me though court and destroyed my family through the stress of it all , I discover that you had no prior usage rights at all and that your claim in the statement of claim is entirely fictitious. What exactly did you join on the 10th May 2006, was there a proper meeting with minutes were other people there or did the date somehow evolve due to Mr Wells completing a form with the charities commission. How come you have never been able to provide any documents that prove that you were a trustee, If you didn’t sign any papers how did you know you were become a trustee to a trust, how did you get an obligation to the deed. Mr Coutts told me that the trust, he belonged to which by its own documentation ( 7 (a)) ceased to exist on 1.3.2003, never met so how did you become a trustee of this defunct trust? How were you appointed given the fact that the trust never met? If this this trust still existed, how did this trust which was allegedly formed on 1.3.2000 have any obligations to the approved status given that none of the trustees other than Wells had signed any documents for the application for approved status. And that there are no documents any where which bind those trustees to the responsibility of running a law enforcement agency. How we could have been breaching the fair trading act when you had not traded using the name AWINZ prior to our existence. How could you sue us without checking the validity of your claim? In June 2006 I became aware that you were involved through a donation flyer which had been sent out with the dog registration papers in 2006 .Sent to all dog owners in Waitakere city council. Since you took action against us a legally incorporated charitable trust for passing off and breach of fair trade, do you not think that the logo you and your associates Mr Wells and Mr Coutts JP adopted was not a tad similar with the logo on the Waitakere council dog control building? And could also be seen as passing off and breach of fair trade? Why was the new logo you adopted so close to the ones on the council building and vehicles? Why did you use the council phone number for your flyer and why continue to use the postal address of the council manager Mr Wells, do you not think that that was a conflict of interest for him ? You signed the donation flyer and the following years flyer . Legislation states that “No trustees or society shall be incorporated under a name which is identical with that of any other Board “ Mr wells had a letter from the ministry of economic developmentswhich explained this point . Please explain by what legislation or documentary evidence you can supply which gave you the right to call yourself the chairperson of the board of trustees of AWINZ. Mr Wells up to this time, had been the only person who had any discoverable associations with the approved organisation AWINZ, he had written and advised on the legislation which facilitated the application he made in the name of a non-existent organisation. Mr Wells was also the manager dog and stock control of Waitakere city council having replaced Mr Didovich who had signed the MOU with Mr Wells some years earlier, Mr wells was effectively contracting to himself , this contract had never received consent through council and MAF believed that the agreement was with council not a division of council and certainly not some one contracting to himself. Mr Wells a council employee using the council paid officers, facilities and resources derived income from the function of the council officers in the name of AWINZ . 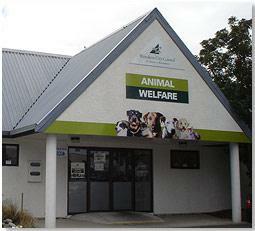 Even after you became supposed chair, Mr Wells continued to operate a Bank account in the name of his alias Animal welfare institute of New Zealand. He was the sole operator and the account had no trust deed associated with it. Wyn , as Former Mayor and now a councillor of TCDC does this mean that you support council officers running a private venture using council staff and resources to generate income for a group other than Council? This practice internationally is known as corruption , in taking action to conceal the activities of Mr wells and his approved “ organisation which in reality was no more than an alias for himself , do you not think that you may have been concealing corruption ? Why did you as chairperson not have any over sight over the bank accounts ? What due diligence have you ever done with regards to the set up of the “organisation “ you claim to be head of? Why sue before you have done due diligence? And why did you not wish to discuss the matter with me or meet with our trustees to attempt to resolve it? The legal action you took against me and the legal entity AWINZ was to force us to give up the name and the web site, You have stated that the trustees of AWINZ decided to instruct legal counsel Brookfield’s. Why then go to a law clerk who did not have a practising certificate. Why not take the recommended action as advised by the MED in the letter Mr Wells had or could you not take this course because you did not have the evidence or the standing? You always said it was urgent is that why Intimidation was the chosen method? Did you condone the intimidation ? You certainly did nothing to stop it! You withdrew your claim after you had brought about some $20,000 cost against me personally all intended to strike out my defence of truth and honest opinion with regards to the questions I had raised about AWINZ. do you think that that was ethical . As an officer of the court should you not have spoken up and advised the court that you really did not have a rightful claim or standing? In December 2006 some 5 months after you initiated legal action without seeking redress outside the court you signed a trust deed , this trust eventually obtained charitable status and retrospectively took on the role as the approved Organisation .. could you please explain how this is legally possible? This trust obtained charitable funds which were used in the litigation against me which was conducted in the name of AWINZ, could you please advise why the lawyers your trusts funds paid for were able to claim that your unincorporated trust was an entity in its own name and how your trust established 5 months later got to be involved in the litigation. I note that on various sites you set out your public involvement why do you never make mention of AWINZ ? 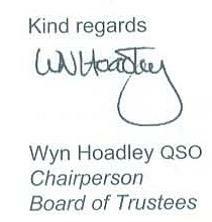 Wyn Hoadley, QSO, Barrister, Auckland Regional Council Finance Chair, Member Earthquake Commission, patron & trustee of various performing arts, sports, community organisations, long serving City Councillor & Mayor Takapuna City, previously Chancellor AUT. Wyn seeks to build relationships between the WDHB and other community organisations to address public health issues and is a strong advocate for clear and balanced priorities for the communities of the Waitemata Health District. I have 28 years local and regional governance experience, understand the issues and how to get things done. Wyn and husband Steve are TCDC ratepayers with property and flat in Pollen Street. Was previous Mayor of Takapuna City, Chancellor Auckland University of Technology, Chair Trustees NZ National Library, and National Animal Ethics Advisory Committee, am a barrister specialising in resource management and public law, served on variety of boards, including Earthquake Commission, Transit NZ, Building Research (BRANZ), National Animal Welfare Advisory Committee, Civil Defence, and awarded Queen’s Service Order for Public Services (QSO) 2004. I hereby disclose the following conflict of interest with the Waitemata District Health Board that may arise in the future: I am a Trustee of the North Shore Hospital Foundation, Trustee of the Three Harbours Health Foundation, and a member of North Shore Community Health Voice, and I give professional legal advice and assistance to persons and organisations involved in the health sector from time to time in my capacity as a barrister. Wyn the past five years of litigation have hardly been on a level playing field, me a lay litigant up against a number of barristers namely Wyn Hoadley, Neil Wells, David Neutze, xxxxx and Nick Wright. You could say that the playing field was not level. The litigation has given me great experiences for writing a book on dirty tricks lawyers play , I would have thought that so many officers of the court would have won hands down without dirty tactics.. but I guess that only happens if you have a real case. You have had me in bankruptcy court skipped the formal proof hearing for defamation , filed a statutory demand on my business while claiming to be an incorporated trust , opposed every application I have made for appeal, your lawyers have misled the courts and blocked a judicial review. Is this justice? 13 The overriding duty of a lawyer acting in litigation is to the court concerned. 13.1 A lawyer has an absolute duty of honesty to the court and must not mislead or deceive the court. 13.2 A lawyer must not act in a way that undermines the processes of the court or the dignity of the judiciary. Quite clearly the past 5 years have not followed these rules or the previous rules which also had similar obligations to the court. I find it very hard to comprehend that someone such as yourself who claims to have humanitarian interest in animals can treat a fellow human being so badly. I have likened this to being assualted, if done with a base ball bat you would have been locked up but as a lawyer you can hide behind what is supposed tobe a pure reputaton your queens service medal and your previus status as a mayor. Wyn Integrity comes from within. You are by the values that you live by. You continue to be a public figure and give the pretence of being a person of good standing, to me it would appear that this is a façade. Wyn I speak the truth because I believe that the public need to know who you are and what your standards are and if you have allowed council officers to run a private enterprise off council resources before will you continue to condone it. Wyn You cannot keep your reputation in tact while destroying mine. the truth will come out , it is never too late to apologise and make amends. My crime has been to question corruption corruption which you have chosen not to question and to defend. I will publish any reply you wish to supply.